It's snowy here today. Now you may be thinking "Hey, you live in Canada! It's snowy there all year! Always winter and never Christmas amirite?" but that's just not Victoria. 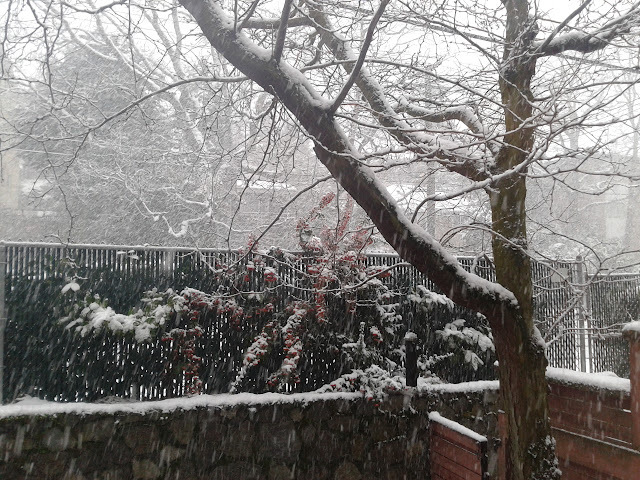 In fact over the past three days we've had the first snow of winter. It's pretty. It makes me miss living out east, where the snow sticks around all winter and you can bask in bright sun while crunching through a foot of snow in your Sorels. cardigan by Kate Jackson. It's a darling little sweater and I've enjoyed making it (although a sweater that is of novice difficulty, at most, should not require intermediate to advanced pattern-reading skills. Especially not for $6). 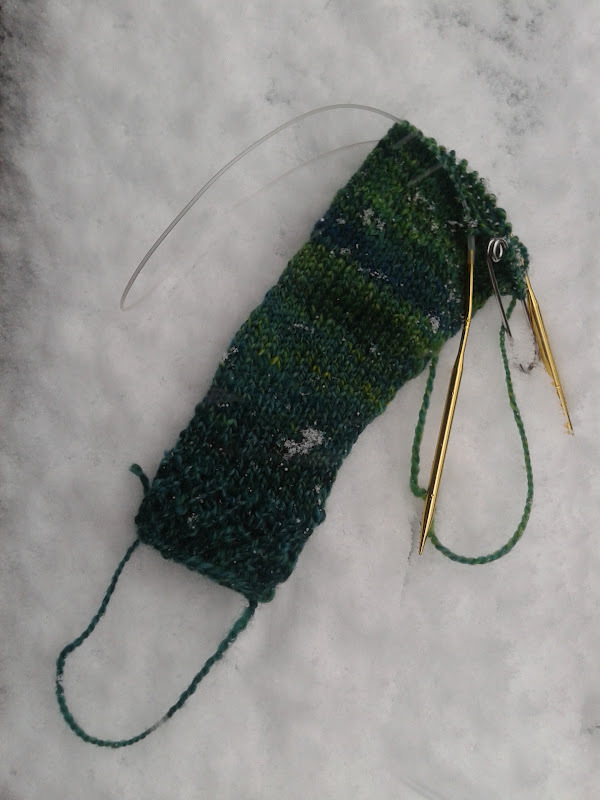 I don't have a progress pic for you, but I did throw a sleeve in the snow to catch a few snowflakes. 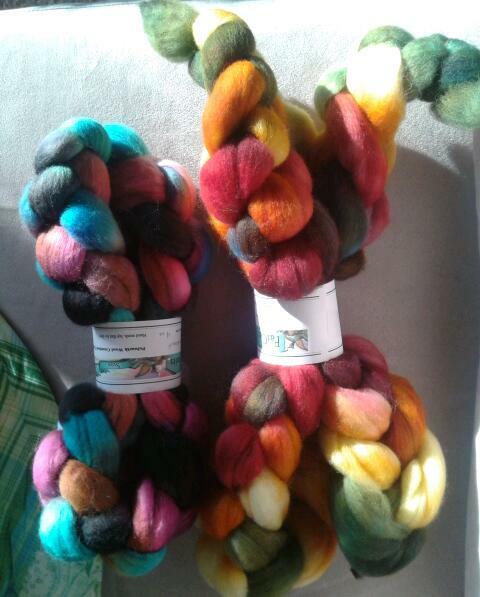 , one of my favourite dyers. These were a gift from my family-in-law this Christmas. They are awfully good to me. It's been a good sort of day.